Supreme Court Rules Bankrupt Companies Can’t Abandon old Wells. 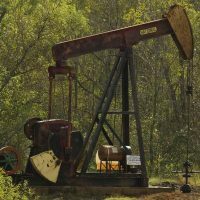 The Supreme Court said in a ruling today that a bankrupt companies trustee of Grant Thornton Ltd. cannot walk away from it’s obligation to make old abandoned oil wells environmentally safe. The companies trustee however did not comply and instead filed their own counter claim stating it goes against bankruptcy laws. Alberta’s energy regulator as well as the Orphan Well Association, a group that cleans up unrecleaimed wells left behind by the companies appealed the ruling to the high court. A group supported by thousands of farmers also wanted to see the court make the decision.